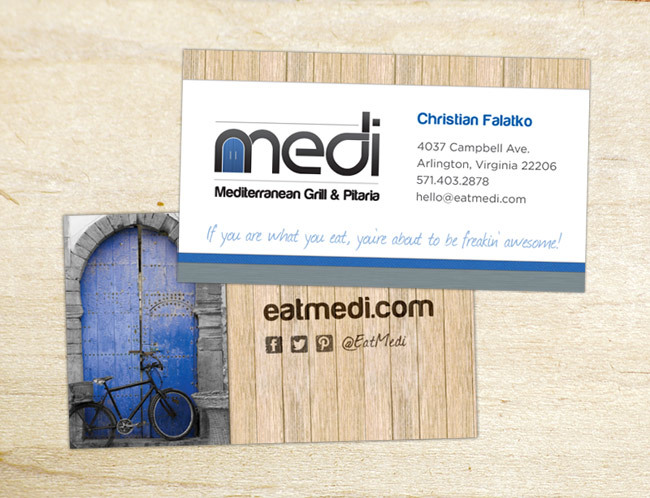 This fun new restaurant in Arlington, Virginia needed business cards and a printed to-go menu for their customers. We used elements from their website for the business card, utilizing the many textures and layers to create a unique look. 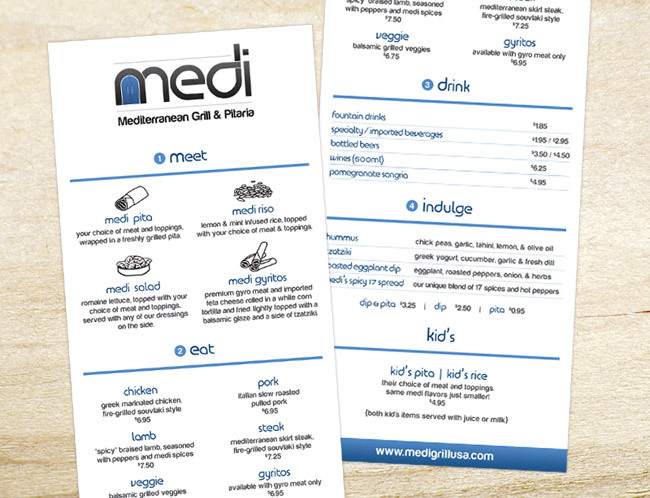 For the to-go menu, we wanted to keep it simple so it was easy to read and understand. The design is mostly minimal, and we made sure it was laid out in a very organized manner. We also included hand-drawn images of their different food choices, giving a nice visual of each choice.